I can’t go to my grandmother’s house without having various food items practically stuffed down my throat, I suppose it doesn’t help that I’m skinny but I can’t escape the feeling that she’s trying to fatten me up for Christmas! While we were shopping I decided to pick up a pack of Tesco free from chocolate desserts because I have never tried them and she always makes me buy a dessert. They had a good taste of chocolate and a smooth consistency which wasn’t too thick or too thin. 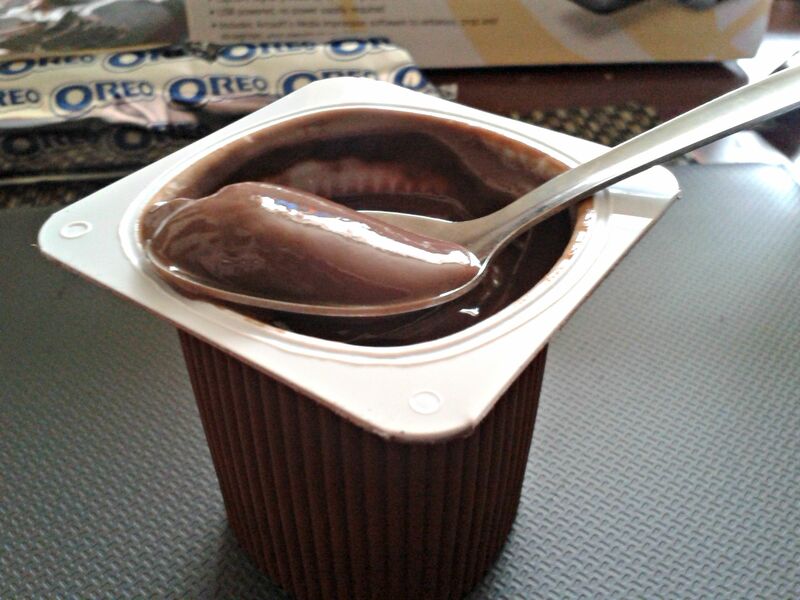 For some reason I was expecting them to have the consistency of a mousse but they were very much like Alpro’s desserts. There isn’t much else to say about them, they were just okay and I probably would buy them again if Alpro’s own were more expensive at the time. These were £1.50 for four 100g pots. 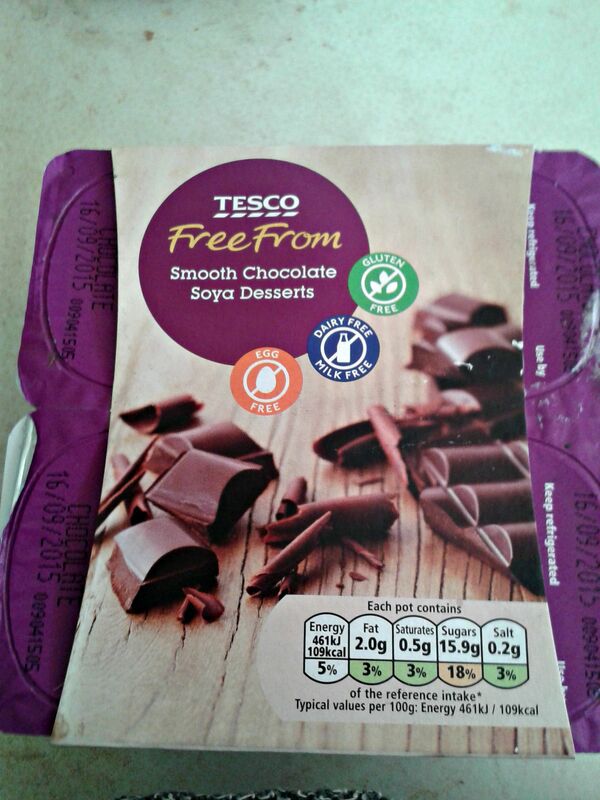 I would like to try some other options from Tesco’s free from range such as their crème caramel desserts, but I was disappointed that the chocolate mousse and Italian coffee desserts have egg in them. Ingredients: soya base (80%) (water, hulled soya bean (9%), sugar, chocolate (3.5%), thickeners (modified maize starch, pectin, carrageenan), cocoa, calcium phosphate, natural flavouring, and salt.